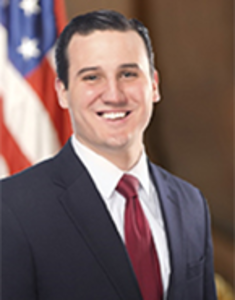 Last week, Assemblyman Kevin Byrne (R,C,Ref-Mahopac) voted to bring an amendment to the floor which would make New York state’s current property tax cap permanent. Identical legislation was passed the prior week by the Democrat controlled Senate but with overwhelming bipartisan support. The original the tax cap was first presented by the Assembly Republican Conference in 2007 and was later signed into law in 2011, receiving widespread support. The governor has repeatedly called to make the tax cap permanent, most recently in his executive budget proposal. Unfortunately, the Assembly Majority, heavily influenced by NYC Democratic members, blocked the amendment on the floor last week. The tax cap is currently set to expire on June 20, 2020 (Part G of A.2005). The state's annual budget presents the greatest opportunity to make the tax cap permanent. As budget hearings continue, legislators from throughout the state will have time to consider this proposal. The 2019-2020 budget deadline is April 1, 2019.